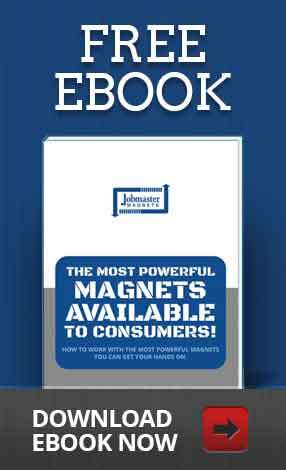 Magnets are typically used in a raw form, uncoated. But in some cases, depending on the intended use and the elemental makeup of the magnet, specialized coatings are required. The most common coating found in use today is the nickel plating on Neodymium Iron Boron (NdFeB) magnets. Interestingly, this coating adds to the appearance of the magnet and most users assume the magnet itself is has this look naturally. The nickel plating has a practical use beyond aesthetics. It is present to prevent the onset of corrosion. Uncoated neodymium will undergo a process called hydrogen decrepitation. It literally breaks down in the presence of hydrogen. This process is used in the recycling of NdFeB type magnets, but obviously is undesirable in functioning and in-use magnets. Hydrogen decrepitation is reduced and minimized by introducing a barrier style coating and nickel plating works well. 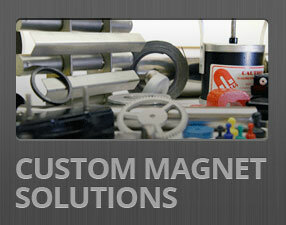 Over time, some magnets may still break down if the plating has porosity and humidity and moisture is present. This will appear as peeling of the plating. 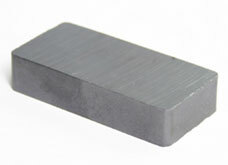 It is possible to plate Samarium Cobalt (SmCo) magnets with the nickel plating, but the Samarium cobalt material does not suffer the same issues with hydrogen so it is typically found unplated. Beneath the nickel plating is a base layer of copper. Copper is used as a base layer because of its high conductivity properties. Gold is also used as a finish coating for applications like jewellery. A good choice for neodymium is epoxy coating because of its appealing pricing point. It is rugged, has better moisture resistance and provides a good base for bonding. You can identify it from its appearance as a matte or semi gloss black. Ceramic magnets are usually used uncoated. They do not corrode so a mechanical coating is not required, but cosmetic coatings include paint and vinyl dip. 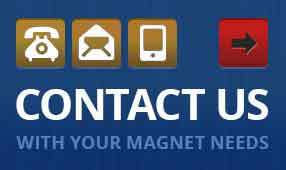 Not sure the magnet that will best fit your needs? Contact us at our office in Oakville and we’ll be sure you get just what you need. Do You Need a Custom Magnet? How Does Temperature Affect Different Magnets?